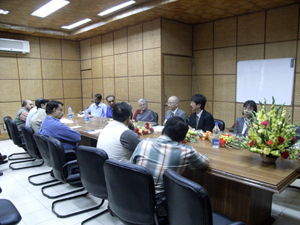 The Department of Research Programming concluded an agreement on collaborative investigation with the Nara National Museum (an optical survey of Buddhist art and a contract on the creation of high-definition digital content), as part of the research project Survey Research on Applications of High-definition Digital Images. 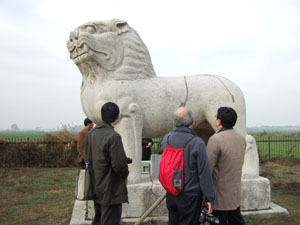 From Tuesday, November 4 to Friday, November 7 of this year, we performed non-destructive analysis using fluorescent X-rays, high-definition full-color recording, high-definition fluorescent recording with visible light excitation, and reflective near infrared recording in the Nara National Museum. Our targets were the pedestal that is stored in Kasuga Taisha Shrine and used in reading the picture scroll Kasugagongenkenki, and the pedestals of Sakyamuni Buddha trinity and the Buddha of Healing, stored in the Golden Hall of Horyu-ji Temple. The purpose of this survey was to examine the materials and production processed used and create high-definition digital content based on the above optical survey. In this survey, we acquired various types of information that were not likely to be confirmed by the naked eye because of changes brought about by aging in every case. 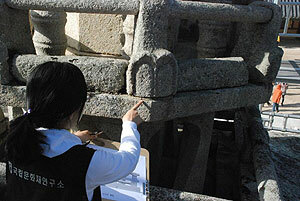 We are considering reporting our findings in discussions with the Cultural Department of Nara National Museum. 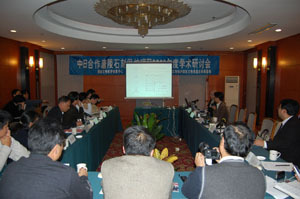 The Department of Intangible Cultural Heritage held its third conference on the study of intangible folk cultural properties on November 20, 2008. 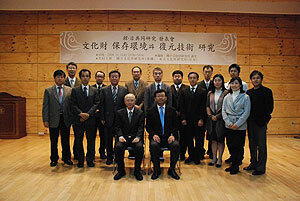 This year’s topic was Conservation of Goods Related to Intangible Folk Cultural Properties. To conserve intangible folk cultural properties, including manners and customs, folkloric performing arts, and folklore techniques, not only must the skills be transferred, but many goods such as materials and tools, huge decorations, floats, and stalls must be appropriately secured and maintained. From this viewpoint, we listened to examples of four cases reported by relevant organizations engaged in actual maintenance and protection, and had discussions with people involved on the floor. Eager discussions were held on the difficulty of “conserving while using” (i.e. the organization of conservation activities with a view to new creation) and building a system to conserve both the tangible and intangible as a whole. 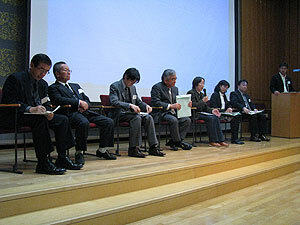 The detailed agenda for this conference will be summarized and issued in March 2009. 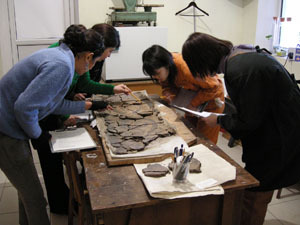 The National Research Institute for Cultural Properties, Tokyo is now engaged in the detachment of wall paintings from the Kitora Tumulus, as part of the project Survey on Conservation of Kitora Tumulus, a Special Historic Site entrusted from the Agency for Cultural Affairs. 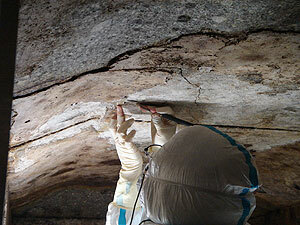 In July 2007, we started to detach the painting of constellations from the ceiling, and we finished the operation at the end of November, 2008. The status of plaster over the painting of constellations varied in different positions, as did work on the ceiling, so we had difficulties detaching the work. However, we eventually detached it as a total of 113 pieces of plaster. 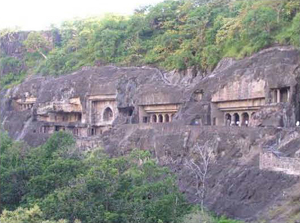 The completion of this work means that all paintings confirmed in the stone chamber have now been detached, including the paintings of the four guardian gods of the directions and the twelve horary signs. 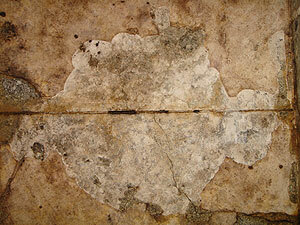 Hereafter we plan to detach the unpainted plaster around the painting of constellations. We will then combine the detached plaster pieces to reform the painting of constellations with plans to exhibit in the future. As part of an exchange program commissioned by the Agency for Cultural Affairs, the Japan Center for International Cooperation in Conservation is conducting conservation of mural paintings in the collection of the National Museum of Antiquities of Tajikistan. Three missions were dispatched from summer to autumn, and a workshop was held in early December 2008. Since there are not many conservators in Tajikistan, the excavated mural painting fragments have been left in the storage of the National Museum without appropriate treatment. The goal of this project is to transfer to Tajikistan conservation knowledge and techniques that the Center has accumulated to date and to foster Tajik specialists in conservation. Until now, 4 trainees have participated in works related to the storage, investigation and photography as well as the cleaning of the mural painting fragments. In December, a workshop was held at the National Museum to which a total of 5 conservation specialists were invited from Uzbekistan, Kazakhstan, Kyrgyzstan and Turkmenistan. The participants reported the actual conditions of the conservation of mural paintings in their respective countries. We introduced the new undertaking being conducted in Tajikistan, and the participants were able to actually experience a series of the work. We hope to promote activities for the conservation of mural paintings in Central Asia and to improve conservation methods by holding similar workshops in the future, working jointly with local experts and exchanging opinions.